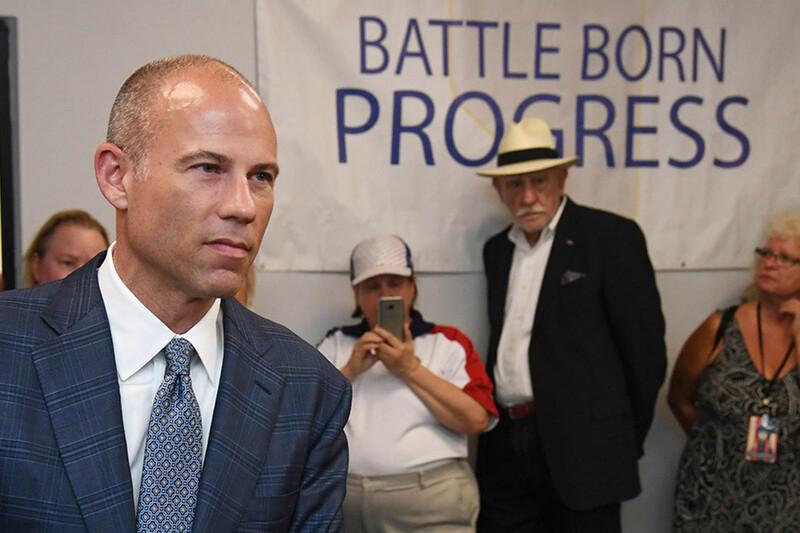 One month ago, Michael Avenatti—the Stormy Daniels lawyer, Donald Trump antagonist, and yes, potential 2020 presidential candidate—spoke at an Iowa Democratic Party fundraiser and declared to a cheering crowd that there was “no greater question facing our party and our nation” than “how” Democrats fight. He chastised Democrats for having “a tendency to bring nail clippers to a gun fight” when they should be fighting “fire with fire.” Avenatti is the lead storm chaser in a little-noticed front in the 2020 Democratic presidential campaign: Who can out-Trump the sitting president by going the furthest to break procedural “norms”? Even if Avenatti has little chance of winning the nomination, he could still wreck the 2020 Democratic race. In fact he’s already doing it, by using his considerable media skills and political instincts to frame the contest around how far Democrats should go when wielding power, and to pressure his rivals to follow his cue. If we begin measuring candidates on the basis of who has the weakest attachment to the written and unwritten rules which have stabilized American democracy for centuries, the country will be in serious danger. The reverberations from Avenatti became apparent during the Senate Judiciary Committee hearings for Brett Kavanaugh’s Supreme Court nomination, as two likely presidential candidates sought to prove their willingness to subvert norms. Sen. Cory Booker boasted about risking expulsion by releasing documents deemed classified by the Republican-led committee, to protest attempts to minimize access to Kavanaugh’s emails from when he worked in the George W. Bush administration. And Sen. Kamala Harris shared on Twitter a truncated video clip of Kavanaugh referring to birth control pills as “abortion-inducing drugs” that left off his attributing of the phrase to anti-abortion Catholic plaintiffs. Then when media fact-checkers called her out, Harris, seemingly following Trump’s “never apologize” philosophy, refused to admit error or recalibrate her charge. We can finish his sentence: If not, it shows these pretenders don’t know how to fight the way I do. In Iceland, World Cup players aren’t gods. They’re neighbors. Previous Post The bruising midterm primaries are over. What have we learned about the ‘blue wave’?